Right now, I am sort of in the middle of some good books - one audiobook in the car, one print at the gym, another print for evening reading. It's nice to be on a reading roll and have multiple distinct books going at the same time. 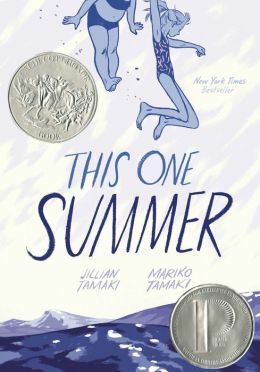 This One Summer by Mariko Tamaki: Lately, I have been seeing this book on many blogs. It has been on my TBR since I first heard about it last year, but I picked it up at the library this weekend after reading so many good reviews about it. I have been saving graphic novels for weekday evenings, so I'm hoping to get this one started today and maybe even finished tonight. Another of Mariko Tamaki's books is also on my wishlist - Skim - so I'm hoping to get hold of that one next. The Gift of Rain by Twan Eng Tan: When I saw this book and The Garden of Evening Mists on the Kindle Daily Deal list, I read a couple of passages from both books and thought that the writing was splendid and the premise intriguing. I started this one at the gym and while it is a fascinating read so far, it is also a really huge book. I think I do better with chunksters in ebook format than with print format, so maybe this is a way to read the chunksters I have been avoiding (I'm looking at you The Goldfinch, War and Peace, and Les Misérables). 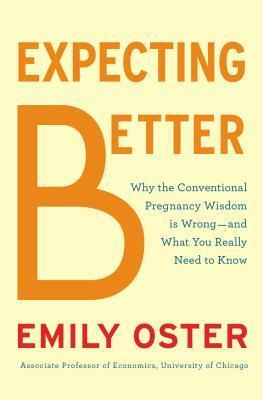 Expecting Better by Emily Oster: I just finished listening to Stuff this morning, so I will be starting with Expecting Better this evening. I have been excited about this book since I heard about it a year ago, but I wasn't keen on reading it before I got pregnant. Now that I am pregnant, and inundated with tons of do's and don'ts, some of which have made me extremely over-cautious about everything (I went through a phase when I refused to eat sandwiches or salads at any restaurant), I would like to hear someone else's (hopefully well-researched) perspective on all these many customs and hopefully, find out what I don't need to worry about much. And while I am not worried about alcohol (i don't drink) or sushi (I don't eat it) or caffeine (I stopped tea/coffee months ago and haven't gone back to it), I would like to see what she has to say about sleeping positions (my sides hurt every night) and anything else. 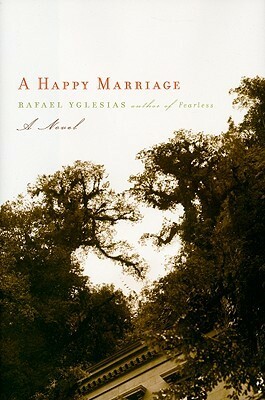 A Happy Marriage by Rafael Yglesias: I don't remember where I first heard about this book, but somehow it found its way to my TBR. Goodreads tells me that I TBR'd this book on July 2009, which already feels like eons ago. I do know that I was blogging then, so I may have come across it on a blog somewhere. I have been better lately about adding notes to books I TBR but sometimes I just miss a book or two. I was looking for something different and unhyped to read from my TBR, when I came across this title and was intrigued. I just hope it doesn't get me over-emotional. I usually read multiple books at once but lately, I've been sticking to one and blowing through it quickly. I just finished a so-so book. Could have been much better but I read it in one sitting (The Bookseller) and I kind of like knocking off a book in one sitting. This One Summer looks good to me! This One Summer is on my radar. I'm always in the middle of multiple books! I loved The Garden of Evening Mists! I also liked The Gift of Rain, but not quite as much. I'm not sure whether it is a difference between the books or just that I read The Garden of Evening Mists first. I'll be interested to hear which one you like better. I listened to a podcast about Expecting Better and thought it was a really interesting idea to actually dig into the evidence for all the advice out there. Especially thinking about the recent news about a study showing that despite all the advice not to feed young kids peanut products, avoiding peanut products actually makes kids MORE likely to have peanut allergies! This One Summer has been on my radar for a while now. And I definitely agree with you about chunksters working better as ebooks - started Winter of the World this week (900+pages, hardcover) and put it on hold until I can get the ebook. While I liked This One Summer, I really really liked Skim, so I hope you get a chance to read it! 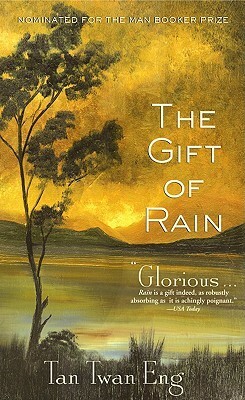 I'm wondering now if The Gift of Rain might be a good "book club of two" read for me and my husband. He's an aikido instructor! So he might like that particular tie-in. Will have to see if my library has this one! I haven't read any of the books you mention, although I do have a copy of A Happy Marriage on my bookshelf waiting its turn. I'm really curious about This One Sumner. I've heard mostly good things about it. I love having a variety of books going on too. I really like the sound of A Happy Marriage. It's probably going to be a sad one right? I look forward to your review! My mother loved A Happy Marriage.